Do you still panic before an airplane trip? No matter how much travel you have done, this happens. Just at the time you're leaving, you seem to remember so many things that need to be done. ​Or, even if you have done those things that need to be done, you still panic over the fact that most likely you have forgotten something. Somehow, you set yourself into airline travel mode and for many, that signals panic. 1. Put together your travel documents. Pack these safely in a transparent envelope so you can see and access them easily. This includes tickets, passport, visa documents, extra visa pictures, address and telephone number of your hotel and office if you are on business, contact information of your sponsor/client/employer if you have one, a copy of your contract or a letter from your employer authorizing you to do the job, and supporting documents for products you carry with you. Make sure you leave photocopies of these documents with a trusted person in your residence. For your passport, check the validity. you do this much earlier to give yourself time to get a new one just in case there are issues with it. Most countries require at least 6 months validity. The more months, the better. Once you start work, you might find yourself having to travel to another country and you may not have the required number of months to get in this other country. If you only have 6 months, and you have time, I suggest you renew it. Check that you have enough pages left in your passport, not just one. Some countries will use a full page for your visa. Ask to have pages added before you leave. It is better to be ready for the unexpected. This also gives you some confidence. Don’t forget your credit cards and bank cards, of course. Check your visa and its validity. Maybe, you can get your visa in the airport. Find out the requirements. You might need to apply online like in Vietnam. In fact, Thai airlines will not let you in the plane if you don't have Vietnam's acceptance of your online application. 2. Confirm all information around your particular flight. This includes departure time, arrival in local time of your destination, transfers, wait times in airports, terminal numbers for departure and arrival, and, if possible, the type of airplane with a seating map and a map of the airport where you get your connecting flight. 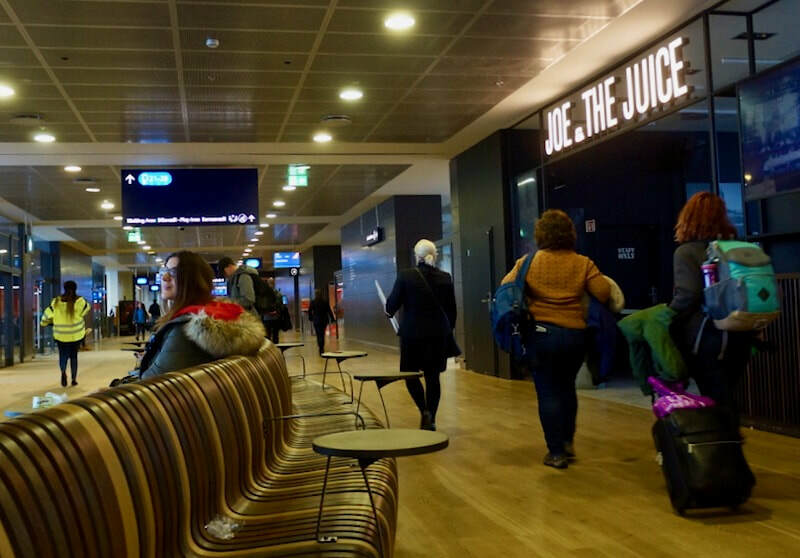 This will facilitate the process of arriving early in your gate for your connection and give you more time to relax. Also, ask where your port of entry is, that is, the place where you clear immigration and customs. Ask for the procedures to follow around luggage. If you stay overnight in a country, before you move on to your final destination, find out if you need a transit visa as well as other procedures around luggage and check-in. 3. Pack only the allowed baggage allowance. Pack your computer where it is easy to take it out at check-in. Empty your pockets of anything that will trigger the security detector. A piece of metal foil that wrapped the gum you are chewing can trigger a going over that will remain in your memory forever. Lace shoes can be a bother, wire supports in undergarments will hold you up, and extra heavy jackets and boots will require so many trays to look after. Pack your carry on as per security instructions, only the allowed limits of toiletries in a transparent bag. Read the security instructions in your airline site and take out from your luggage items that are not allowed. You can now easily buy many of these items wherever you are going. 4. Label your luggage with your destination address. Place your home address inside your luggage or in the pockets so as not to confuse the handlers. It is a good idea to mark your luggage so it is easy for you to spot it in the conveyor belt. So many luggages look alike now. Ribbons of a certain colour do well. When you have your sports equipment with you or extra sized luggage, call the airlines not on the day of your departure but when you start planning your trip so you know what their requirements are. Make sure you ask them where to pick it up. There is often a particular counter for oversize luggage. Ask the airline staff upon arrival where to claim your over size luggage. In many airports now, there are counters for those who have checked in online and are just checking in luggage. Often, these counters have only short line-ups. Check in kiosks as well. This speeds things up leaving you with time to enjoy a cup of coffee. Make sure before you check in, you have everything ready. Other than your passport and ticket, you may need your address at your destination. Look around if you also need to fill up the immigration card. This is usually true when you clear customs and immigration in the place where you check in. Many airlines now provide these forms before embarkation. 6. Check the weather and your notifications from the airline. The weather can effect changes in your flight. When there's a change in the flight, they often want you to confirm these. Sometimes, when there's a disturbance, they might want to reroute you or put you in an earlier or later flight. So many things are happening all around you in airports. They tend to be distracting. Discipline yourself and pay attention especially after security check and check in as you have your documents to worry about as well as all your carry on things to put back neatly in your more than usual overstuffed bag. This is when things get left behind. Take your time and make sure you have accounted for all the items. 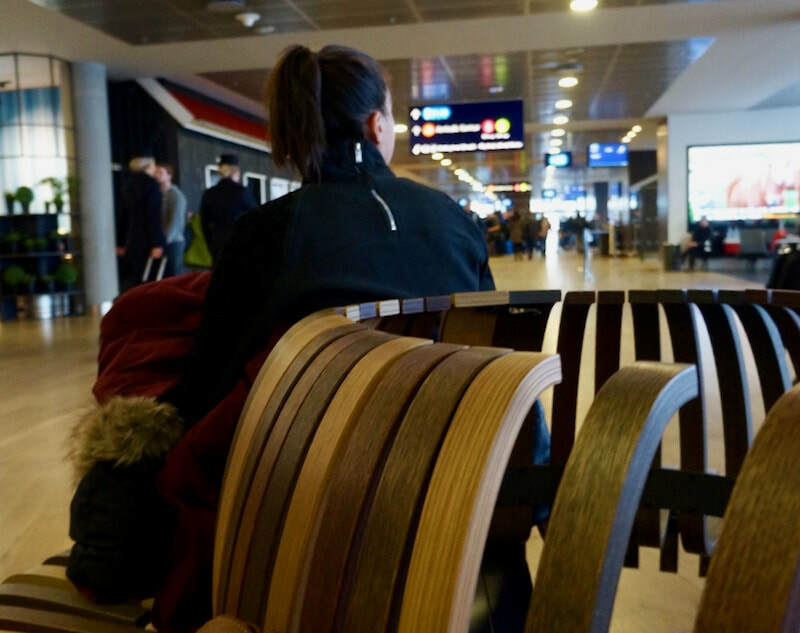 There always seats beyond the security check. Sit down and make sure you have all of your carry-on items and your documents. Over and beyond this, the key is to get to the airport early. Give yourself enough time to calm yourself before you sit on that plane. Walk around so you stretch your legs. And remember, enjoy that drink in the lounge but make sure you watch the time. Go to your gate early so you will be ahead in the line unless you have first class or business tickets or a gold card. Overhead racks may be full by the time you get into your seat. As you stride through the throng of travelers, breathe in their sense of purpose and anticipation. Smile at the differences you see around you as groups come in and leave. Take a book that you can enjoy. Take the things you need during the flight out of your carry on and put them in the seat pocket in front of you or in a small bag you can tuck in under the seat. What do you find most stressful in your travel? Share below in the Comments section.